Robert Dutton Artist: Positive results in black and white! 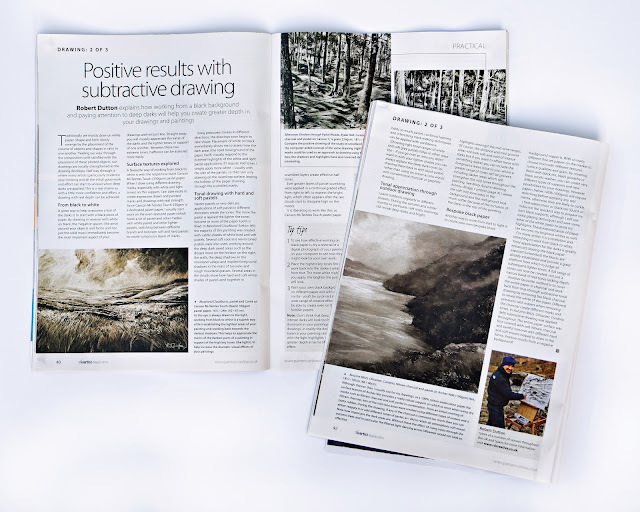 Out now is the second in my three articles focusing on drawing published in this months edition of 'The Artist' magazine. Many of the drawings featured in this series of articles I have created for my students on different residential art holidays around the country last year. Students from Higham Hall and Rydal Hall in Cumbria and Cober Hill on the East Coast of Yorkshire will recognise the evening demo drawings, studio and outdoor drawings done on location with you in the printed pages in this superb magazine!